Look! Up in the sky! Is it snow? Hail? Sleet? 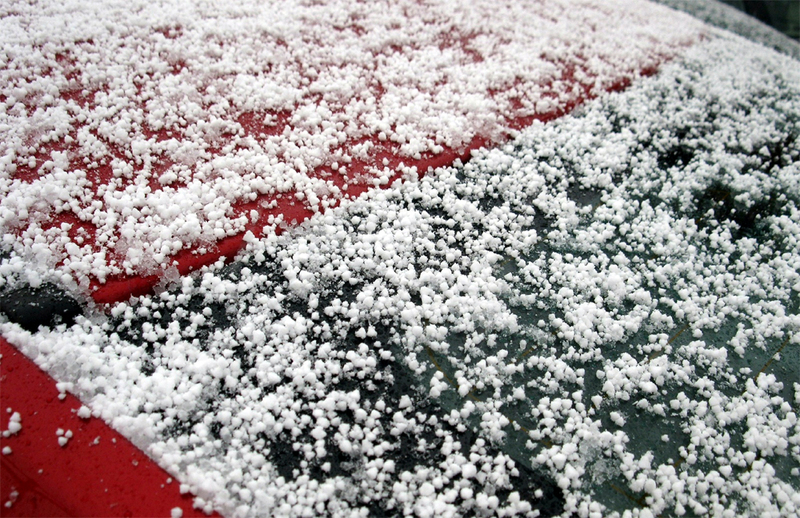 No, you meteorological ignoramus, it’s graupel! 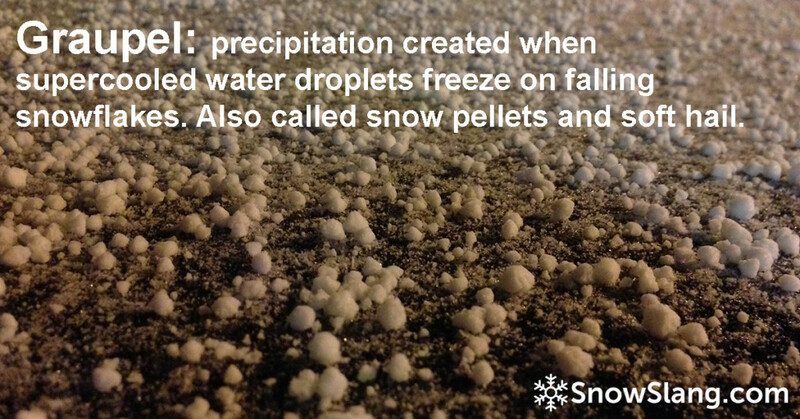 Also known as “snow pellets,” graupel is a hybrid of precipitation types. Basically, snowflakes falling from the sky pick up an extra layer of moisture on their way down as supercooled droplets adhere to the crystals. This messes with the beautiful appearance of snowflakes and results in a substance that resembles little balls of Styrofoam, which are often mistaken for hail. You’ll sometimes here it referred to as “small hail” or “soft hail.” But unlike hail, which is typically hard, graupel will disintegrate easily if you handle it. There’s snow, not ice, inside. 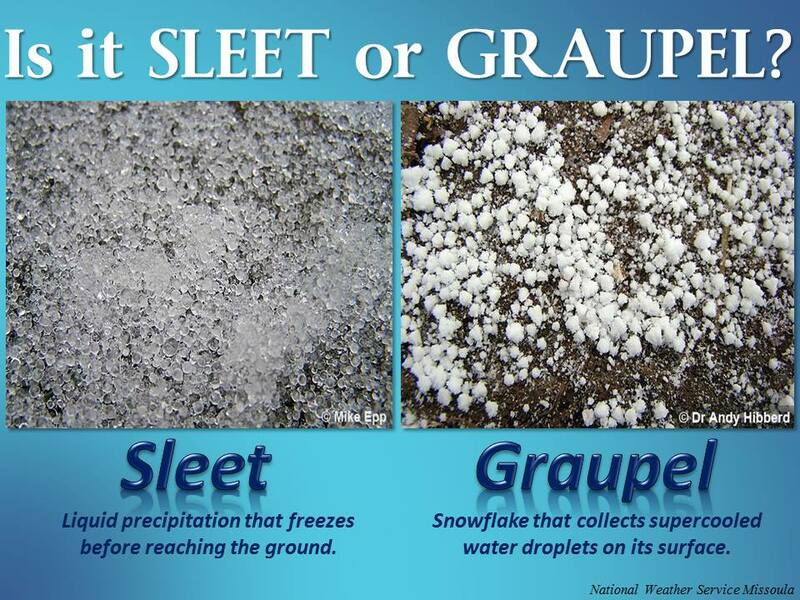 Unlike sleet, which is clear, graupel is white or cloudy in color. 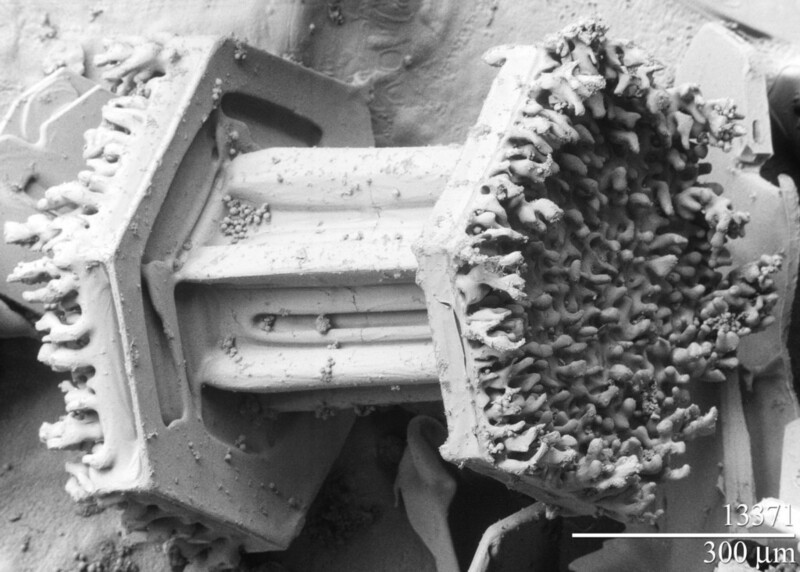 The image below, taken with an electron microscope, shows a layer of rime growing on both ends of a columnar snow crystal. With enough riming, you go from snowing to graupeling. The key ingredient is very cold air in clouds. That creates a hospitable environment for supercooled water, which are microscopic droplets below the freezing point but still in a liquid form. Below is a diagram that illustrates the favorable conditions, which are often caused by a cold front or atmospheric instability during spring storms. Here are a couple more images from the National Weather Service that illustrate and explain the different types of precipitation. If you’d like to see what it looks like to get graupeled upon, check out the video below. And here’s a pretty good video from WHO-DT that explains the basics behind this weather phenomenon. 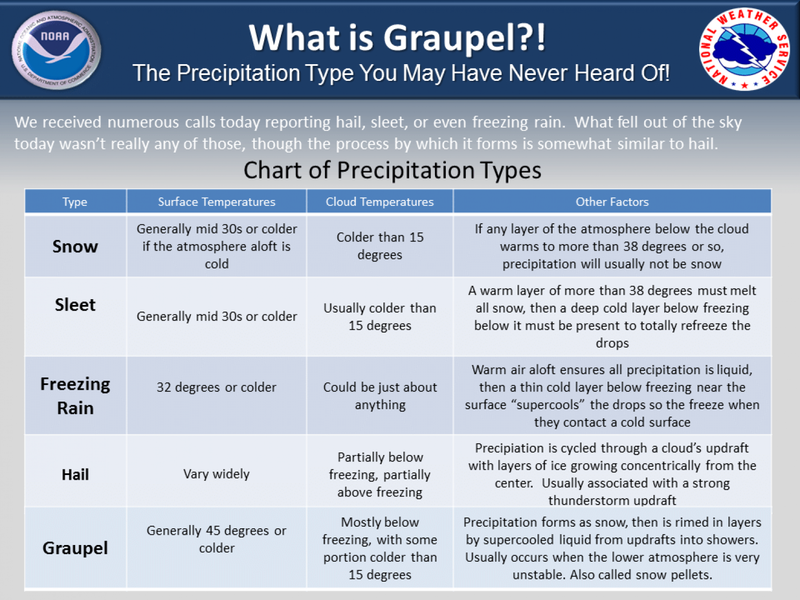 I’m sorry to say I’ve only experienced graupel a couple of times because it’s pretty cool (or supercooled!). It seems as if someone up there is emptying out their bean bag. I fondly recall one chair lift ride at Copper Mountain when I not only got graupeled upon but then enjoyed some thundersnow. 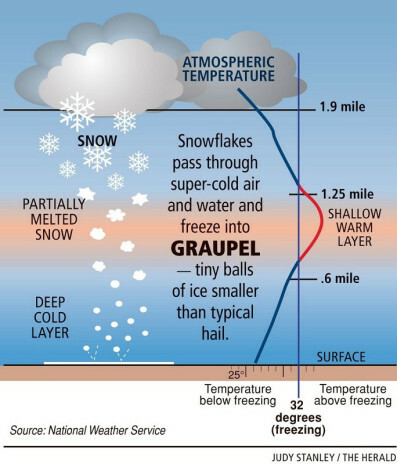 Graupel is a common weak layer in maritime climates but more rare in continental climates. It’s extra tricky because it tends to roll off cliffs and steeper terrain and collect on the gentler terrain at the bottom of cliffs. 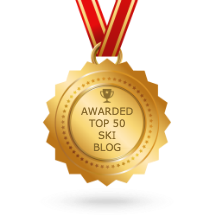 Climbers and extreme riders sometimes trigger graupel avalanches after they have descended steep terrain (45-60 degrees) and have finally arrived on the gentler slopes below (35-45 degrees)–just when they are starting to relax. “The wintry precipitation you’ve never heard of,” The Washington Post, December 5, 2014.